Ever wanted to start a new positive habit or stop an old, the bad one? You’ve come to the right place, as today we will be discussing Android apps that can help you with such a goal. From doing 10 push-ups a day to cutting smoking, these apps can help you keep track of your habits, encourage you and keep you accountable for your actions, all at the same time. 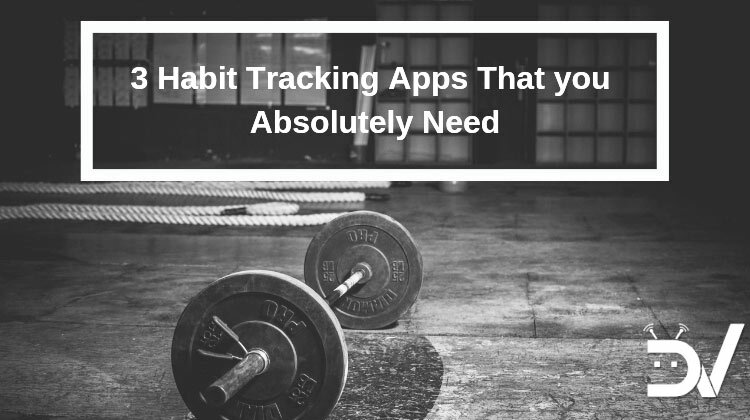 One of my personal favorites and the habit tracking app that I am currently using as my default habit- tracker, Habitbull includes everything you may need. 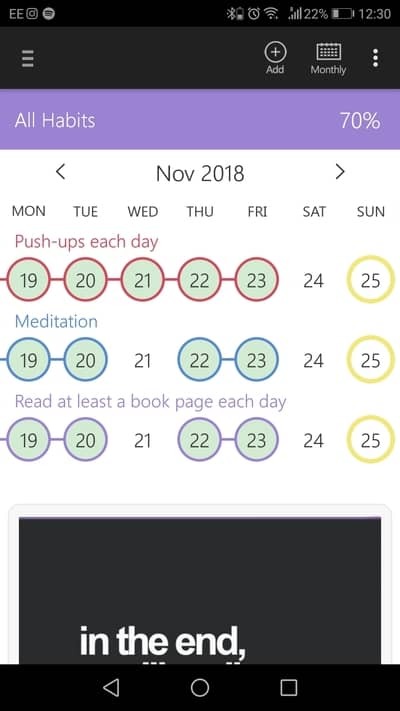 You can easily set up your habits and conditions of fulfilling them and HabitBull will present you with a calendar-like UI that can easily help you keep track of your progress. 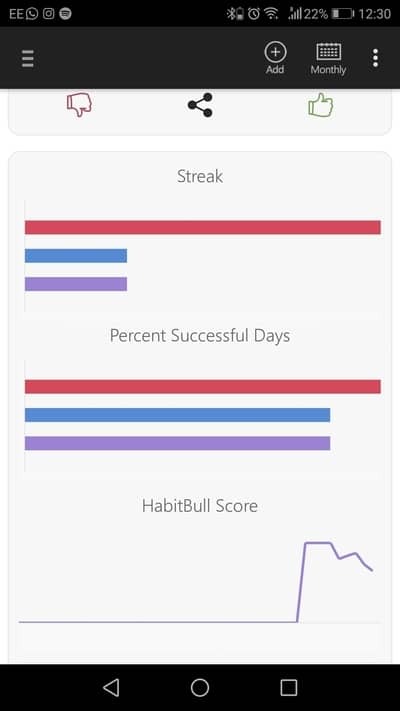 Habit bull also provides certain very useful stats not only to help you understand how you can improve but also to encourage you to act. Finally, habit bull offers an in-app motivation wall, providing you with many enlightening quotes, every single day. Download Habitbull now and begin creating your new life. 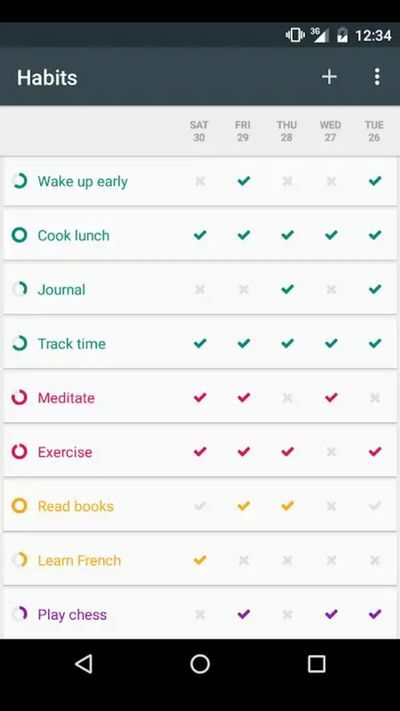 Loop, another great habit tracker app for Android, can help you with the goal of improving yourself. It has a simple and clean interface which can show your progress in either a weekly or a monthly form. 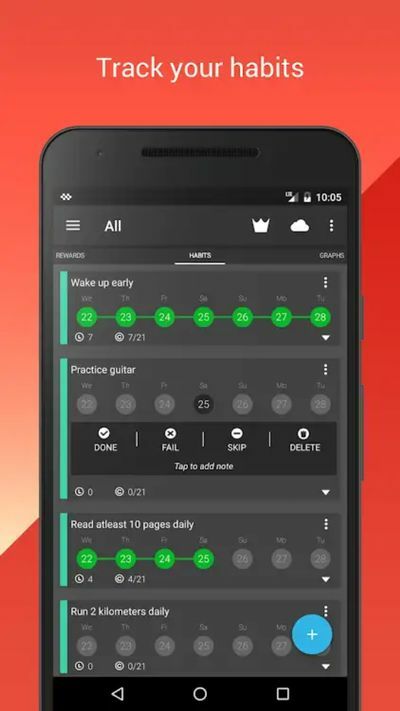 What sets Loop apart is its ability to score your progress with its mathematical formula. When you act on a habit then it becomes stronger if you miss a day though then your score is lowered. In this way, you can easily understand which of your habits are strong and which aren’t. The app also supports flexible schedules, meaning that it can help you with both your daily activities but also with the most complex ones. For example a habit of meditating once a week. 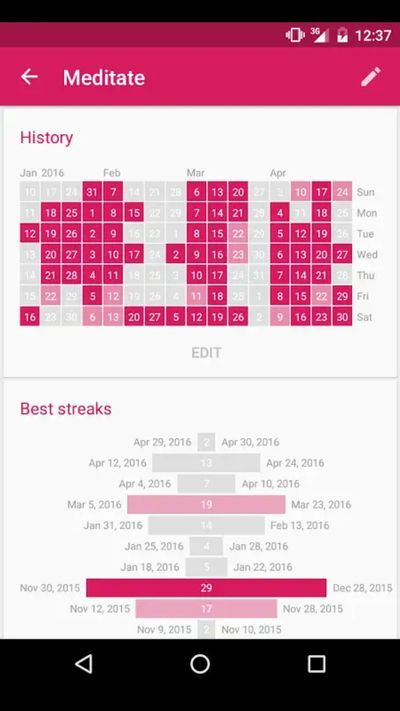 Finally, the app can show you your progress through different charts and can also help you improve by reminding you to take action. Download Loop and try it now. That’s what you’ll see written on the app’s Play Store page and that’s what HabitHub is set out to help you accomplish. This app offers similar features as the previous two. Set up your habit, the conditions for accomplishing one and track your progress through charts and graphs. What sets HabitHub apart though, is its four beautiful themes that are included in the application. One more key thing is that the application is optimized for smartwatches as well, which means that you don’t have to pull your phone out of your pocket every time you want to track your progress. 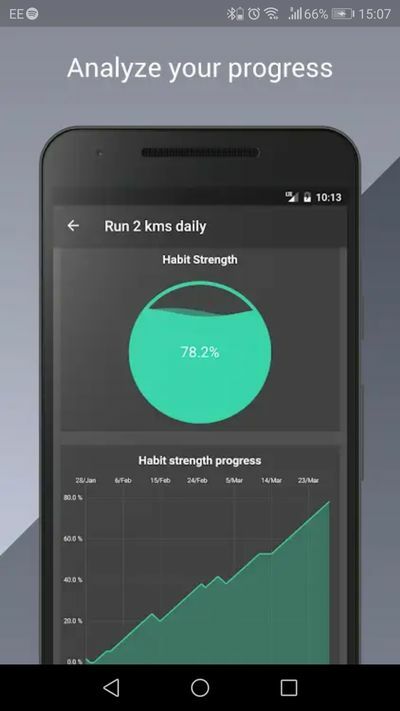 Download HabitHub from the Google Play Store and start tracking your habits now. Begin changing your life for the better by using one of the aforementioned apps. Feel free to comment below and as always thanks for reading.